Paul and Sara Hadfield joined the ABM team in 2010 after Paul graduated from Moody Bible Institute’s School of Missionary Aviation in 2008. Born and raised in Yardley, PA, Paul earned a B.S. in Technology Education from Millersville University and an M.S. in Instructional Technology from West Chester University. He worked for twelve years as a public school Tech Ed teacher in Southeastern Pennsylvania before sensing God’s call to commit his life’s work to missionary aviation. Sara grew up in New York State. She earned a B.A. in German at Franklin and Marshall College and an M.A. in Teaching English as a Second Language from West Chester University. Paul and Sara married in 1991. Paul manages the aviation team at ABM. He also serves as a pilot and aircraft mechanic. He enjoys leading volunteer work teams to the villages and encouraging pastors and missionaries face to face. Sara supports Paul by keeping things running smoothly on the home front and nurturing their children. She enjoys serving ministry wives through ABM’s women’s ministry, extending hospitality in her home whenever possible, and serving on ABM’s Refresh team. 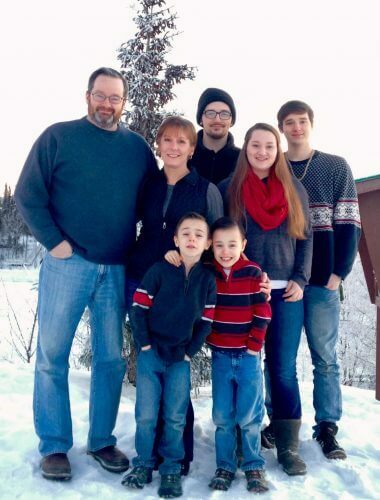 Paul and Sara currently reside near Soldotna, AK. They have four sons, a daughter, and a new daughter-in-law.